Why Not Get Your Message Noticed With a Moving Billboard? Today more than ever before businesses small and large alike are looking for unique and innovative ways of getting their message out to the general public. One method in particular that is affordable and that is often overlooked is that of truck-based moving billboards. It is a proven fact that this type of message display will ultimately have more impact than a typical static type billboard seen along the side of the roadway. Research has indicated that more than 90% of people traveling on the highway notice words and images displayed on the sides of large trucks. Getting your message across in a clever and affordable way has never been easier thanks to all that modern moving billboards make possible. With so many people traveling the highways today it is easier than ever before to convey your company’s message in a memorable and dynamic manner. Keep in mind that ads that are on a moving billboard displayed on the side of a truck will be visible for longer periods of time to drivers than is the case with a traditional static billboard built along the highway. Because of the very nature of the speeds at which large transport trucks operate, most drivers end up passing by large trucks at a faster speed. This affords the opportunity for drivers who are experiencing highway boredom to view and absorb any messages being delivered on the side of a truck. In a sense, by placing an ad on a moving billboard you and your company will in many ways have a captive audience. Getting a message or idea across in this way has never been easier. 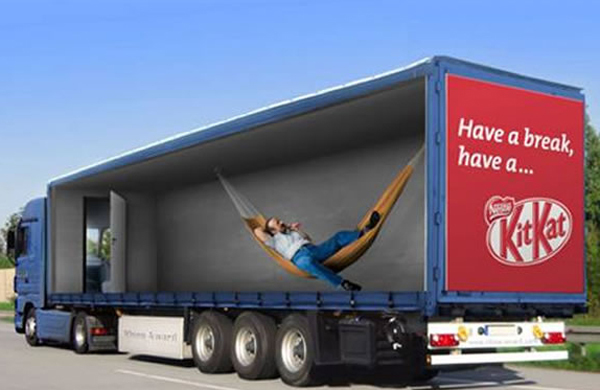 Moving billboards offer an excellent return on investment. As an added benefit in today’s modern digital world, the use of GPS devices can help provide detailed data on where a truck with a message is located. This allows for more accurate targeting of potential customers with moving billboard advertising. Reaching a huge audience with targeted demographics is perhaps one of the most important reasons to consider taking full advantage of all that moving billboards have to offer. Contact Hot Line Freight Systems today to learn more about the incredible advantages of moving billboards on large trucks. https://www.hotlinefreight.com/wp-content/uploads/2014/10/mobile_billboards_hot_line.jpg 390 600 skagitmarketing https://www.hotlinefreight.com/wp-content/uploads/2017/01/hotline_freight.png skagitmarketing2017-12-07 21:02:132017-12-07 21:10:36Why Not Get Your Message Noticed With a Moving Billboard?